“Unless it can be shown that Tan Sri Md Raus’ appointment has been validly made pursuant to another provision of the Constitution, the honourable way to solve the problem is for Tan Sri Md Raus to put aside his personal interest, rise to the occasion and say “I have reconsidered the constitutionality of the appointment and I am not comfortable to remain as Chief Justice and I am tendering my resignation”. “The statement confirms that they (Tun Raus and Tan Sri Zulkefli Ahmad Makinuddin, Chief Judge (Malaya)) are only appointed as additional judges of the Federal Court pursuant to Article 122(1A) of the Federal Constitution. It means that they are not reappointed as the Chief Justice and the President of the Court of Appeal, respectively. That article too was not published by the national newspapers. (However, it is also available on my websites.) Instead, nearer the 14th General Election, an article written by Tun Zaki Azmi, my successor, was published by the New Straits Times, arguing that the appointment was valid. As it turned out to be, BN was defeated and Tun Dr Mahathir became the new Prime Minister. Following that, we heard that the Tun Dr. Mahathir had “asked” Tun Raus, the Chief Justice, to see him at his (Tun Dr. Mahathir’s) office and Tun Raus went. We do not know what transpired between them. However, even if the issue of the appointment of the Chief Justice was not mentioned at all (which is difficult to believe), the fact that the Prime Minister had “asked” the Chief Justice to see him, one to one, is, in my view, not proper. The Chief Justice is not an officer of the Executive under his charge. More so, when we consider the current circumstances and Tun Dr. Mahathir’s past history with regard to the dismissal of Tun Salleh Abas as Lord President. No matter what transpired between them, it gives rise to a very bad perception that the Prime Minister, most probably, at least, had requested Tun Raus to resign. If the Prime Minister had a message to pass to the Chief Justice, it would have been better if he were to pass it through the Chief Secretary to the Government. Not only the Prime Minister should not have “asked” the Chief Justice to see him one to one, Tun Raus too should have politely declined. At the same time, the DAP, a component, if not the dominant, party of the Pakatan Harapan (PH) government, is openly urging, if not demanding the Chief Justice to resign. That again, in my view, is not the right way to do things. To make it even worse, they are also campaigning for a particular judge to succeed him. In other words, they want their man there. Is there any difference from the reason why Tun Raus’ term was extended by the BN government? Is the function of the Judicial Appointments Commission going to be sidestepped or rendered irrelevant? If and when that particular judge succeeds Tun Raus, could he be, or seem to be, independent? Now, we hear something even more disturbing, if not shocking. 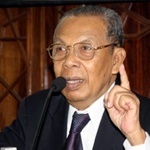 It appears that Tun Daim Zainuddin, the Chairman of the Council of Eminent Persons (CEP), had also “asked” Tun Raus to see him at Tun Daim’s office and Tun Raus went. Again, we do not know what transpired between them. But, is it unreasonable for anyone to assume that it has to do with Tun Raus’ position as Chief Justice? This is wrong on both sides. Both should not have done what they did. The CEP is nothing more than an administrative committee. If Tun Daim were not a close ally of the Prime Minister and were not doing it on behalf of the Prime Minister, would he dare to “ask” the Chief Justice to see him at his (Tun Daim”s) office? If it did not appear to Tun Raus that Tun Daim was doing it on behalf of the Prime Minister, would he go? If Tun Daim wanted to see the Chief Justice, Tun Daim should have made an appointment and go and see the Chief Justice at the latter’s office. By asking the Chief justice to go to his office, Tun Daim could be seen as if he was telling the Chief Justice who was more powerful. Again, it is the question of “Might is right”. It is difficult to believe that the new government is not pressuring the Chief Justice to resign. Granted that the previous government, as I have argued, did something wrong to “extend” the tenure of Tun Rauf. Unfortunately, the present government is not doing anything better in pressuring him to resign the way it is being done and to put its own man in his place. The present government should not commit another wrong in correcting the wrong committed by the previous government. Otherwise, both may end up being equal. After all, there is a case pending in the Federal Court, filed by the Bar Council for a declaration that the “extension” of the tenure of Tun Raus is unconstitutional. Indeed, the seven-man panel has reserved judgment which, in the normal course of events, should be delivered soon. I believe I was the first to publicly suggest to Tun Raus to resign. But, that was under very different circumstances. That was before the change of government. He could then resign honourably and with dignity. However, the circumstances have changed. Unfortunately for him, if he were to do it now, it would appear that he is doing it under pressure from the new government who wants to put up its own man in his place. It looks bad for both sides. Perhaps, under the present circumstances, the best way out for both is to “let the court decide”. Tun Raus may be prepared to take the risk. But, will the PH government be prepared to do the same?